Valve was robbed by a last-minute goal here. Portal 2 comfortably led the race to be the best game of the year for much of the calendar as we suffered through the paucity of releases, only being pipped when other great developers got their arses in gear and, you know, actually released some games. 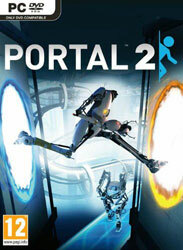 Had it gone the distance, though, Portal 2 would have been a worthy game of the year. It expanded a wonderful little idea from The Orange Box into a full-price game without losing any of the charm, and in my book it finally put to bed that old debate about whether games can be funny. It did it intelligently too, not relying on the small pile of overused memes that the original left in its wake – no cake and only a cameo for the Companion Cube – and through a script that’s far too good for a mere game. My favourite joke? The way it even gets the system-level notifications in on the gag in The Part Where He Kills You. That’s wonderfully self-aware, up there with when Batman: Arkham Asylum made me me think my 360 was red-ringing again and when Eternal Darkness would simulate technical failures for games breaking the fourth wall without simply copying the movie’s methods. Valve did that for drama in Half-Life – no showing you a movie to advance the story there – and now it’s done it with comedy. That company is doing more to advance gaming as a storytelling medium than any other. Full credit, also, for Valve extending its famous generosity to us console peasants, at least on the PS3. Getting a PC and Mac version thrown in with cross-platform functionality was a brilliantly good idea that showed how forward-thinking Valve is, and also illustrating one major benefit of a more open online suite like PSN. If only there were more Steam for PS3s and fewer Metal Gear Onlines when developers are given such freedom. 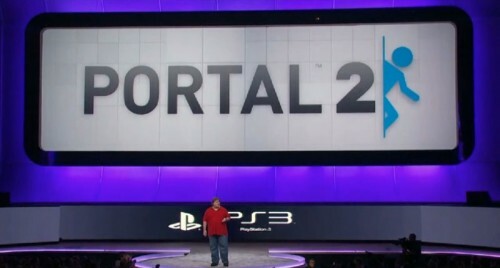 One of the most surprising announcements at this E3 came from Valve, with Gabe Newell, who has been somewhat outspoken about the experience of PS3 development, confirming a PS3 version of Portal 2, previously only thought to be coming to the PC, Mac and Xbox 360. That in itself isn’t all that shocking because Valve games have turned up on the system from other developers, but it’s not hyperbole to say that his aside about Steamworks coming to Sony’s console has the potential to really shake up the industry. Some of this is still speculation because we don’t know exactly which Steamworks features will be on the way. I’d be very surprised if cross-platform multiplayer made it, and Steam Play (buy it on the PC and automatically get the Mac version and vice versa) expanding to the PS3 version would be apocalyptically big, but even if we’re looking at the simpler things like automatic updates, community features and Steam Cloud – we know that last one’s on the way for sure – Valve is going to go a big way towards removing the barriers between gaming across distinct platforms and moving gaming away from independent walled gardens. Originally Steam Cloud would simply copy your saves and custom settings to the ‘cloud’ so that they’d be synced between your computers, and with the release of the Steam Mac client it was expanded to doing that across operating systems, and we have to assume, given that it has no other purpose, that it’ll do the same with Steamworks PS3 games. We already have retail PC games that integrate Steamworks – big titles like Modern Warfare 2 and Just Cause 2, for example – and it’s entirely possible that future editions will sync your progress across multiple platforms. Saving your game in Call of Duty on your PC at work and picking up on your MacBook on the train home and then finding your progress reflected on your console is insane. It’s like living in the future. I like Xbox Live a lot, but this just couldn’t happen on the Xbox 360 as it stands. It’s the kind of thing that was promised by Live Anywhere, but what little of that still exists now seems to be coming only to Windows Mobile phones. Besides the fact that I don’t and won’t own one, it’s a great system if you’re willing to lock yourself into Microsoft’s products, but Steam now works on consoles and, if the rumours of an upcoming Linux version are true, computers regardless of operating system. An open network doesn’t always work out for the best on something that should be as plug-and-play as a console – see the disaster that was the Konami ID in Metal Gear Solid 4, as well as how online functionality can still vary wildly between PS3 games – but I think Valve has demonstrated its community credentials on enough occasions to be the one to try this. The ‘one-console future’ is inevitable if this medium ever wants to grow up, and simply facilitating interaction between platforms is the first and largest step. We’re still going to have PlayStations and Xboxes for the foreseeable future, but Steamworks and independently developed community features like Rockstar Social Club and Battlefield 1943’s Coral Sea Challenge that are showing the barest hints of cross-platform interaction are, I think, seriously showing the way things are going. The way things have to go. I could be wrong and this could turn out to be nothing, of course. I don’t think it will, though. This has to happen so let’s get it over with. Also known as Portal & Friends. 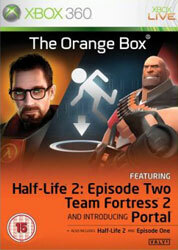 The Half-Life 2 series and Team Fortress 2 are superb games, if slightly overrated in the case of the former. And while many game of the year nominations for The Orange Box can almost be justified on the criteria of sheer value alone, I’m quite comfortable nominating it on the basis of a single three-hour game that gets third billing on the box. I’m convinced that one day looking at the (atrocious) cover art of The Orange Box will be like watching a film from the mid-80s, where the stars have faded or had a couple of stints in rehab and the only one still around is the precocious kid who got a tiny credit and now gets paid $15 million a time. Portal probably won’t be a multimillion franchise but I can see it being sustained through mods and official DLC alone. It’s already birthed several memes – usually an early sign of gaming stardom. Of course there’s a ton more in The Orange Box than just Portal. Half-Life 2, though overrated in my opinion, could probably just about justify the price alone and for those without gaming PCs this is the first decent console version; Episode One is average but short (just over three hours for me); Episode Two is probably the best of the HL2 series. I’ve heard that Team Fortress 2 is great, but my experience with it has been marred by the laggy Xbox Live performance and a couple of other multiplayer first-person shooters. Even if I have complaints, there are no bad apples in The Orange Box. Everything in the box has its merits and when you consider the sheer amount of stuff in here (and I’ve already seen it on sale!) it’s clearly one of the best of the year.